Olivia was one of the first people to post a review on our MeFOTOs earlier this year. 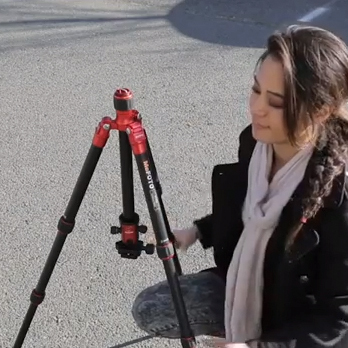 In her video, you can see her compare the RoadTrip and BackPacker (both aluminum versions). When Olivia received these, each model had not been officially named so just to make things clear, A0350=BackPacker & A1350=RoadTrip (for more on MeFOTO's naming you can go here). 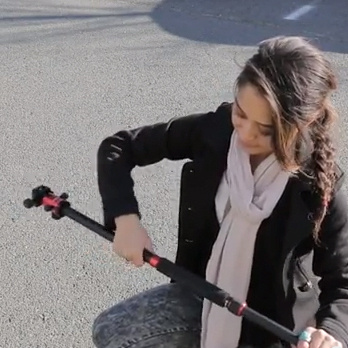 In the video you'll see Olivia reverse the neck on the RoadTrip to get shots closer to the ground, and also convert it to a monopod. You can unscrew the knob on MeFOTO's center column, flip it so the head is facing the ground, and then reattach the knob so it stays in place. You can then mount your camera upside down to the QR plate and take photos closer to the ground, you just have to flip them in post processing. 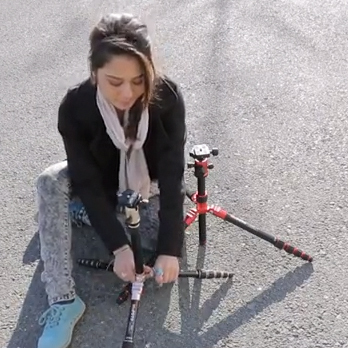 Watch Olivia unscrew the foam padded RoadTrip leg and attach it to the center column to make a monopod.